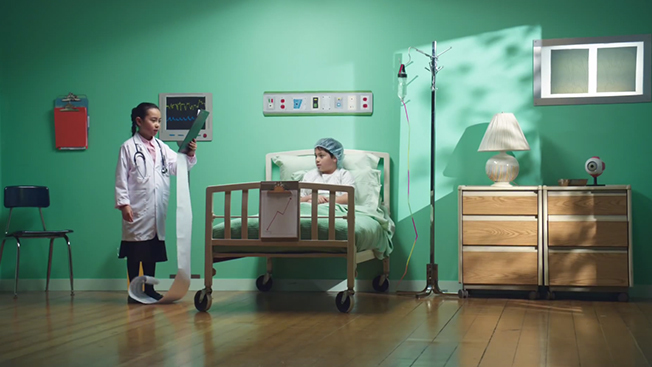 WellPoint has debuted a kids-based video campaign called the "ABCs of Disease" that's designed to drive viewers (parents, most likely) to an online hub with its healthcare plans. Major healthcare brands are rarely forthcoming with digital ad buys, so WellPoint's initiative gives a rare glimpse into how the industry might be evolving in the space. The effort includes a trio of spots, featuring copy that humorously names a disease for every letter in the alphabet ("D is for diarrhea," "T is for tape worms," etc.). Content will be added to the campaign hub during the four-week effort, per a rep at Rokkan, WellPoint's digital agency that led creative. The wide paid push, launching today, might be most interesting, involving ads on Hulu, YouTube, Facebook, Twitter, Google, Yahoo, Taboola and Outbrain. Mobile promos will run on AdMob and Verve's networks as well. WellPoint operates large healthcare subsidiaries such as Blue Cross Blue Shield and Anthem. It serves 36 million people in 14 states, which the Indianapolis-based company says accounts for 11 percent of U.S. consumers.